As many of you will know, we are still waiting on a Government decision regarding the funding of Shrewsbury and Telford NHS Hospital Trust's (SaTH) 'Future Fit' proposals - which aim to reconfigure and future-proof Shropshire's Princess Royal and Royal Shrewsbury hospitals. The uncertainty surrounding this proposed reconfiguration has now dragged into its fourth year, and we are well overdue a decision about future provision. Patients and staff at our hospitals deserve better and it is now time for the Department of Health to make a decision on Future Fit. It is frustrating, amidst this uncertainty, to see issues of recruitment and mismanagement at SaTH, as well as threats of legal action against NHS England from the Leader of Telford and Wrekin Council. This is blackening our prospects of a good settlement at a time when we should be coming together, and I would urge all stakeholders to put aside their differences on this issue and to fight, with me, for the best health care outcome for our area. Future Fit, and safeguarding and future-proofing of our hospitals, should be supported - and I am pleased that there is full consensus on this among Shropshire MPs. 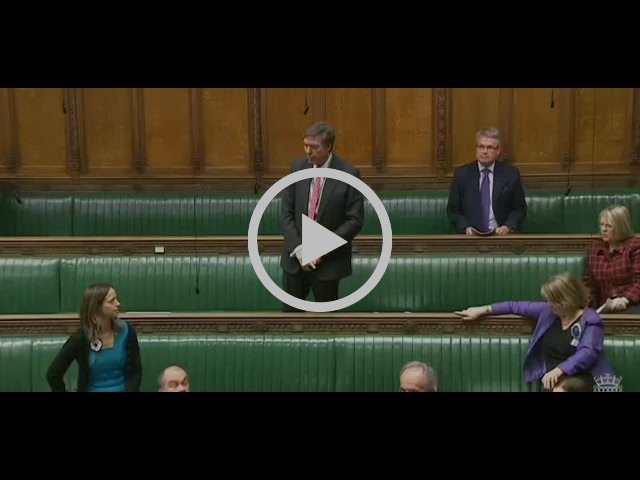 I was pleased, last week, to be able to press the Government on future provision at Health Questions in the House of Commons. My question is noted below. In Shropshire we have had four years of confusion on the future of our two hospitals. Will the Secretary of State tell the people of Shropshire whether there is Government funding for the proposed reconfiguration of the county’s hospitals? As my hon. Friend will be aware, we announced further funding in the Budget and the autumn statement. On the specifics of Telford, which she has raised on a number of occasions, I am very happy to have further discussions with her. 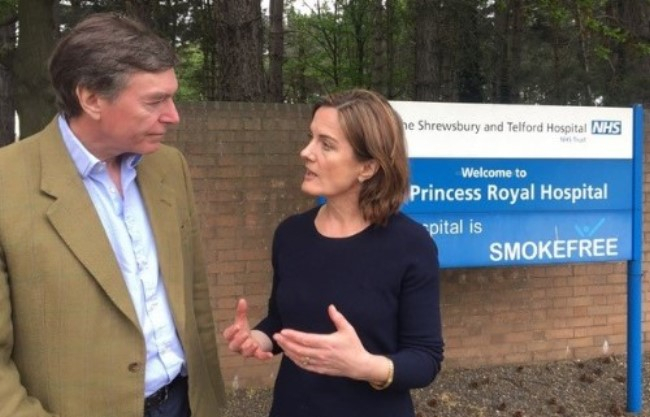 My Shropshire colleague, the Ludlow MP, Philip Dunne, also joined me in calling for clarity, and urged the Minister to “adopt" my advice and ensure that “Shropshire, Shrewsbury and Telford Hospital Trust gets the Future Fit funding it needs”. His question is noted in full below. I congratulate the Secretary of State on securing the £10 billion capital commitment in the Budget at the end of the last year to spend on the NHS. May I take advantage of my position on these Benches to urge him for the next allocation of STP funding to adopt the advice of my hon. Friend the Member for Telford (Lucy Allan) and ensure that the Shrewsbury and Telford Hospital NHS Trust gets the Future Fit funding it needs? May I, first, pay tribute to my hon. Friend for the work he did in the Department and the high esteem in which he was held by those working in the NHS? On Shrewsbury and Telford, I very much appreciate the importance of the reconfiguration of the trust. We expect a decision shortly on that, although I am not in a position to announce it today. Despite tight public finances, the Government has actively supported the NHS's own plan for the future. It is increasing NHS spending by at least £8 billion in real terms over the next five years, and this funding will ensure that by the end of this Parliament, everyone will be able to access GP services at evenings and weekend. Over the next three years, the Government will provide the NHS with an additional £2.8 billion resource funding. By the end of this year, the NHS will receive £335 million to manage winter pressures; a further £1.6 billion will be invested in 2018-19, and in 2019-20, £900 million will be provided to help address future issues. Furthermore, the Government is currently offering local councils an additional £2 billion to help them fund adult social care services in a time of great pressure. At the 2017 Autumn Budget, the Chancellor announced an additional programme of capital investment, further to the £425 million committed at the Spring Budget in March 2017, and this will help NHS organisations deliver significant improvements to local services, improve performance, and significantly increase NHS efficiency. I will continue to fight for some of this funding to come to our area. The Chief Executive of Shrewsbury and Telford NHS Trust has confirmed that recent reports in the media about overnight A&E provision at Princess Royal Hospital are speculative. This is welcome news, of course, but is just one area we are having to contend with, as we wait on the Government’s decision regarding future funding. You can also see more details about what is planned for each hospital site below. This information has been produced by Shrewsbury and Telford Hospital Trust. Click here for more information about the Planned Care Site at PRH. Click here for more information about the Emergency Site at RHS. Health funding is an important campaign issue for me, and I want to hear your opinions and views about how we can achieve a positive outcome for Princess Royal. I also hold regular surgeries in Telford on Fridays and Saturdays. You can book an appointment to see me by calling 01952 290039. This content has been taken from Lucy's single-issue mailing shot. You can subscribe to her mailing list by filling out the sign-up form on the left-hand side of the screen.